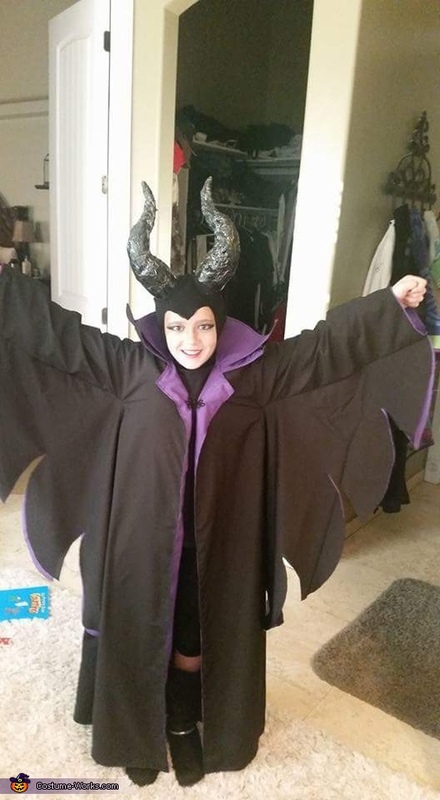 My 10 year old daughter is wearing the costume. She came up with the idea and I created it. We made her horns from coke bottles, a wire hanger, duck tape and black spray paint. I created a pattern based off the Disney cartoon Sleeping Beauty.